Sei He Ki ( Mental / Emotional symbol) is a part of Usui Reiki and Zonar is a part of Karuna® Reiki, when combined the effect is powerful. Sei He Ki helps to bring about a mental and emotional balance and in doing so brings to light the causes of a condition, this is important for healing to take place. This process at times can be very traumatic and this is where Zonar has a calming effect. Let us understand both the symbols individually. Sei He Ki – This symbol is given to Usui Reiki Practitioners in Level 2. It has been observed that physical ailments are a result of mental and emotional imbalances, using this symbol during the healing process can help balance these imbalances. This symbol has been used by practitioners to heal addictions, depression, anger, stress, treat weight issues, find lost objects, also in goal manifestation as it heals the emotions attached to the realization of the goal, etc. Zonar – It is a Karuna® Reiki symbol. It means eternity and being one with the infinite. It has a very deep healing effect. Past memories, both in the current lifetime and others get embedded in our cells, that is the level at which the healing happens. Practitioners use this symbol to heal past life and karmic issues. It is also use to treat victims of child abuse. This symbol can be drawn on the Root chakra to heal karmic issues as this chakra is the seat of past karmas (past and current lifetime). I have experimented with this combination, while meditating on Sei He Ki at times I have experienced a lot of pain and stress reliving certain events. The effect was so traumatic that I used to be disturbed for days together as a result I would give up midway, delaying the healing. I was not ready to deal with the memory of the event. I would even skip my daily self-healing routine (with hands) and this messed up my vibrations further. My intuition guided me to first use meditate on Sei He Ki followed by meditation on Zonar and voila I was able to complete the healing process unhindered. Draw Distance and Mental / Emotional symbol (for your self- healing you can meditate on the symbol / for your client draw it to cover the entire body or if treating a particular chakra then specifically on that chakra). When you intuitively feel ready to move on draw the Zonar symbol following the same process as mentioned in point 3. Please do not be in a hurry to complete the session either for yourself or the client, stay with the symbols. Very nice! Thanks for sharing these beautiful insights! This truly good article. Thanks for sharing. However I would like to know how to mediate on /with Reiki symbol? Can u pl elaborate on this aspect? , chant it 3 times and stay with it for as long as you can, as you move on your path in Reiki you will have different experiences. These experiences are different for different practitioners so please do not feel disappointed or frustrated if your experience is not the same as others. Remember each individual’s experience and path is unique. Best of luck on your Reiki journey. SUCH A DRAMATIC EXPERIENCE WITH ALL. Thank you so much for this article. 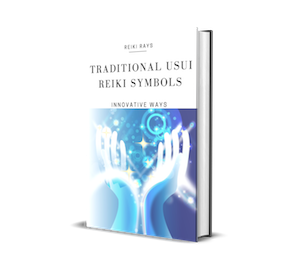 I would like to ask you… can we use Karuna Reiki symbols with Usui Reiki symbols only with the third degree of Usui Reiki? Do the Karuna Reiki symbols still have the same energetic frequency without the attunement of Karuna Reiki? I was given these symbols when I did my 2nd Degree in 1999, I wasn’t attuned to them, but have used them whenever I was guided to use them and found them effective. My take is that Reiki is so powerful that even if we do not use symbols and our intentions are clear Reiki still flows it does not discriminate between using symbols or not. You could contact William Lee Rand, he is the one who gave us Karuna Reiki (of course I have read views opposing that claim). Kallia if your spiritual practice is strong and intent pure then Universal Energy will flow followed by healing. Hi Naveena, I have the same question as Kallia, but I’m Reiki 2 awaiting next level. Would it work as strongly? Thank you for your insights and teaching.